The top reasons for working out seem to be evenly split between looking good and staying strong. So if looking good is your goal, remember that one of the first muscle groups people notice is your forearms. And as for strength, who doesn’t want to be the guy (or girl) who hasn’t met a pickle jar they can’t open with minimal effort using their bare hands? If the rest of your body is well developed, but your forearms are not, you’ve still got a long way to go. But take heart because the following forearm exercise guide will have you at the top your forearm game in no time. You’ll start seeing results after just 30 days. 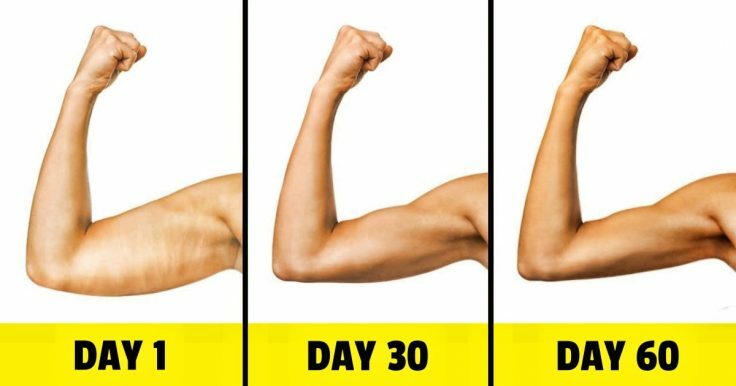 There are awesome arm exercises you can do to reduce arm flab and increase strength in your arm muscles without any piece of gym equipment. So you can easily do these exercises in your bedroom if you want. Ball up your fists, then squeeze and hold for a count of 10, then release. Pause briefly and repeat for 8-12 reps.
For this move to be effective, really focus on maximizing the effort put into your squeeze. If you feel it, you know it’s working. If you’re slacking, it ain’t hacking. Move back and forward to stretch your forearms. Move to position yourself on your hands and knees with your palms and fingers facing back towards the rest of your body. Keeping your palms perfectly flat, lean back until you feel the stretch in your forearms, then stop. This move will strengthen your forearm muscles and tendons. 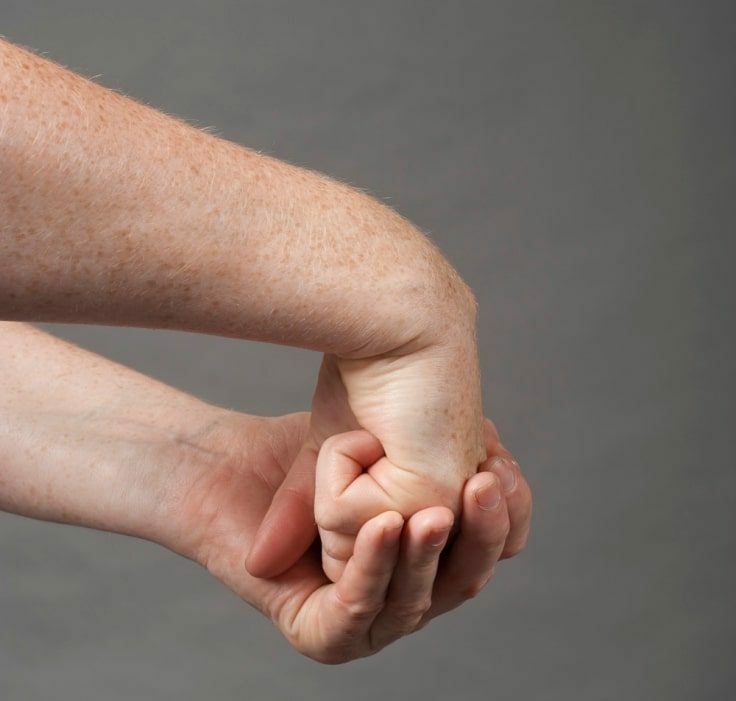 With your right forearm parallel to the floor, bend your wrist so it is “curled” upward. 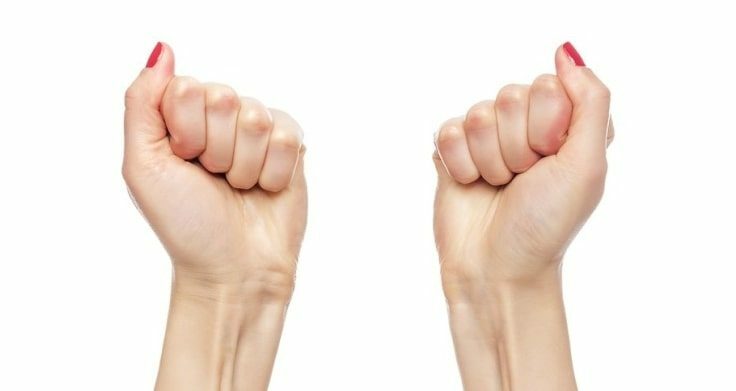 Make a fist with the hand you’re working and press downward on it with your other hand. Do three sets of 8-10 reps for each arm. You can choose the level of difficulty of this exercise by adjusting the intensity you apply with your pressing hand. Of course, you can add more resistance and increase the difficulty of any exercise by adding extra weight. This is also the case if you want to reduce arm flab. Update your pull-up game by using a 3-foot rope thrown over a pull-up bar. Using a rope that is about 1 inch thick, grip securely and pull up. Hold and then lower. Repeat for 8-12 reps. Grab your dumbbells and position your arms at a 90º angle. Keep your elbows tucked near your body with your thumbs pointing upward. Slowly pull your thumbs in the direction of your arms, then return to starting position. Follow this move by pushing your thumbs away with your wrists bent slightly down. Work to keep your arms directly in front of your body, not moving to the right or left as you repeat these motions for 12 to 16 repetitions. To score the maximum benefit from these moves, remember to maintain your focus as you work. Be conscious of each move and notice the way your forearm muscles and the rest of your body feels as you perform every rep of each exercise. Stay motivated with a picture in your mind’s eye of what you want these moves to do for you and let that image last until it matches the one you see in your own mirror. Keep at it, using these moves 3-5 times a week and you’ll be looking and feeling stronger and more confident in no time. Is not that hard to get from a flat belly to a six pack abs. The only things you'll need are these 6 best exercises for the mid section. Relaxation is a need for human body. We must include in our workouts some minutes to relax and get rid of the usual stress. Try these relaxation techniques. I prepared a set of exercises for buttocks recommended by Tracy Anderson, fitness guru that trains celebrities such as Gwyneth Paltrow and Emily Blunt. The weekend workout can be done in just an hour a day. Isn't it easy? Make some time for your health, every saturday and sunday, an hour a day. Stay fit! These simple exercises for perfect legs don't require any special equipment, and you can perform them anytime, anywhere. If you spend hours in front of the computer and your back hurts most of the time, then try some yoga moves to ease back pain instantly.